Manpower: Total of 49 workers for Public areas and Hotel rooms areas + on site management team. Scope of Work: HULL works. 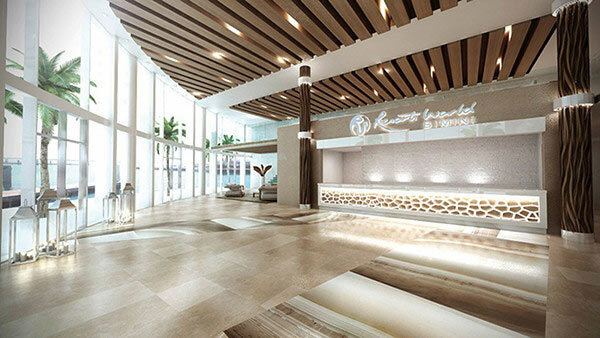 Full interior outfitting of 23 Suites, including corridors and 1st level of Public Aarea that includes Reception hall/Lobby, Sushi bar, Buffet restaurant, Piano bar & Casino corridor together with Shoppes. Tiling works for all the modular hotel rooms wet units/toilets (213) and for all Suites floor.